Like many colonial homes in northern New Jersey, this Basking Ridge home had a distinct kitchen and adjacent, though separate, dining room. 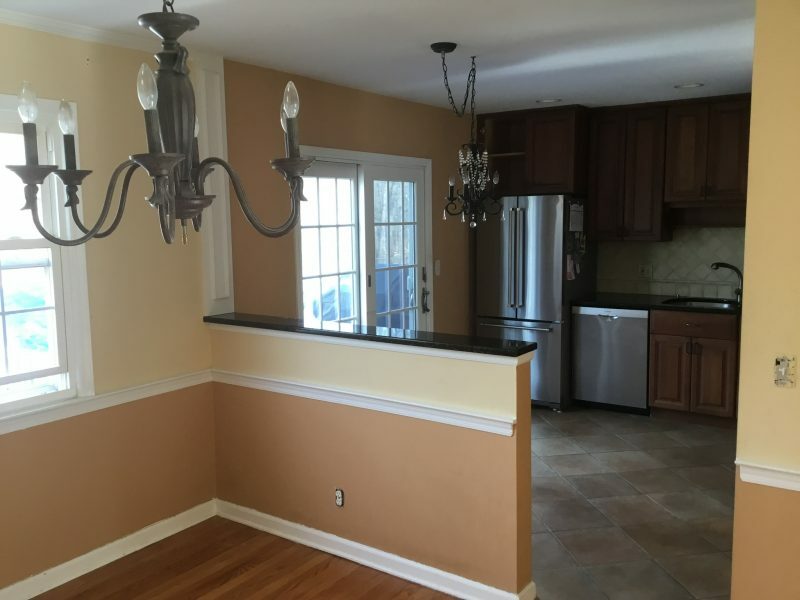 Also, many families find that their formal dining room is rarely used for its original purpose. 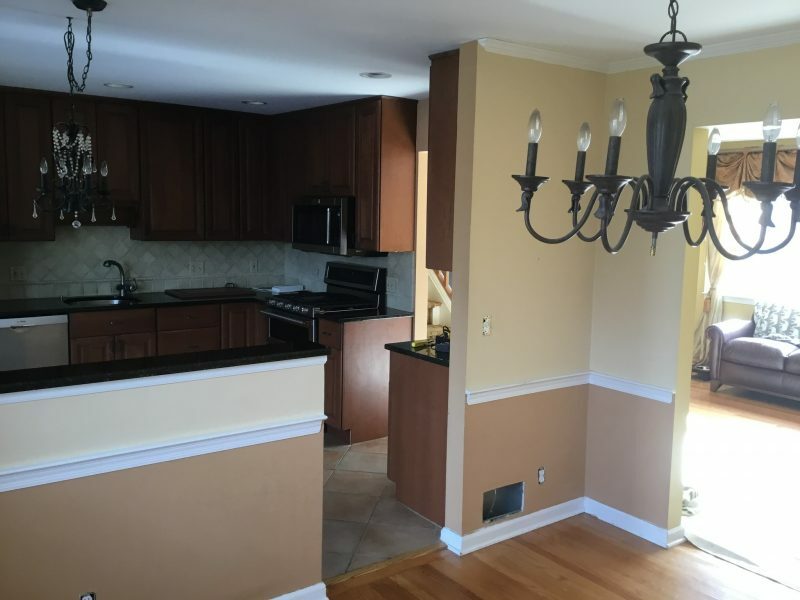 As the case here, this Basking Ridge family wanted to better utilize their dining room and incorporate it into one large eat-in kitchen area. 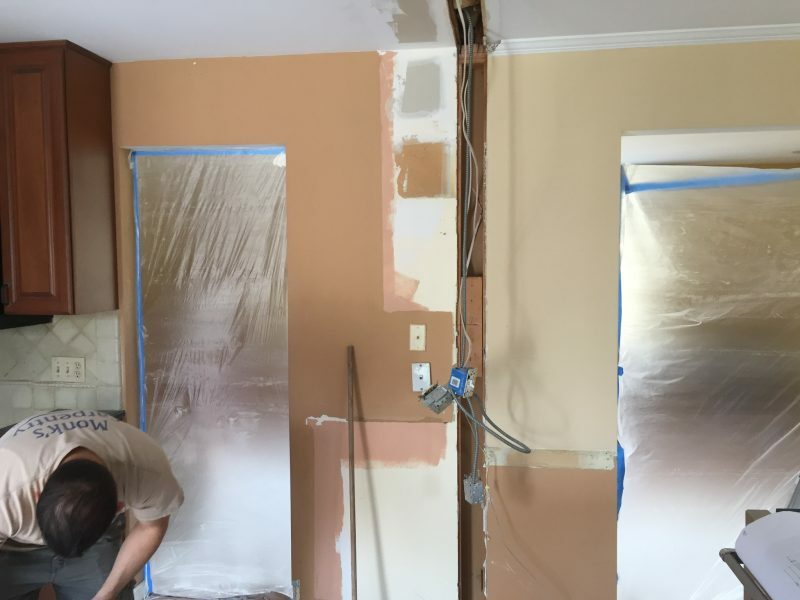 Firstly, we began by removing the partial walls that separated the two rooms. The electric and HVAC living in those walls needed to be reworked. New recessed lighting was also added during the electrical re-wiring. 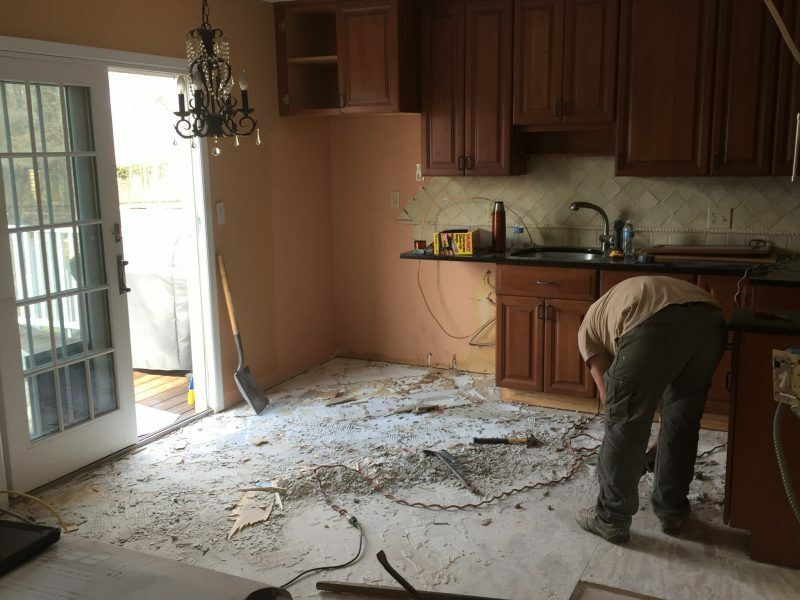 Then we removed the tile flooring in the kitchen. Next, our flooring crew installed raw oak hardwood planks to match up to the dining room. So we matched up the boards and the stain to create a seamless appearance. The new hardwood floor was sanded, stained, and sealed on site. 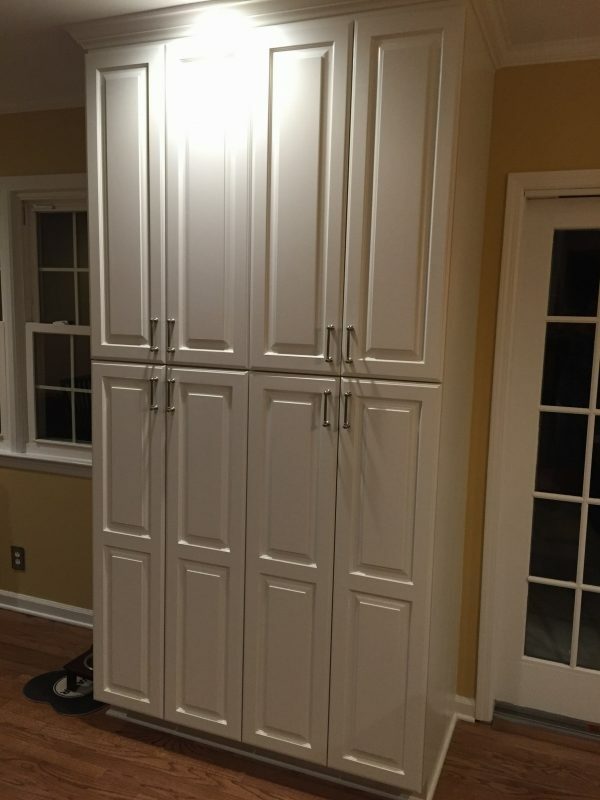 Afterwards, a new full-height pantry was installed. 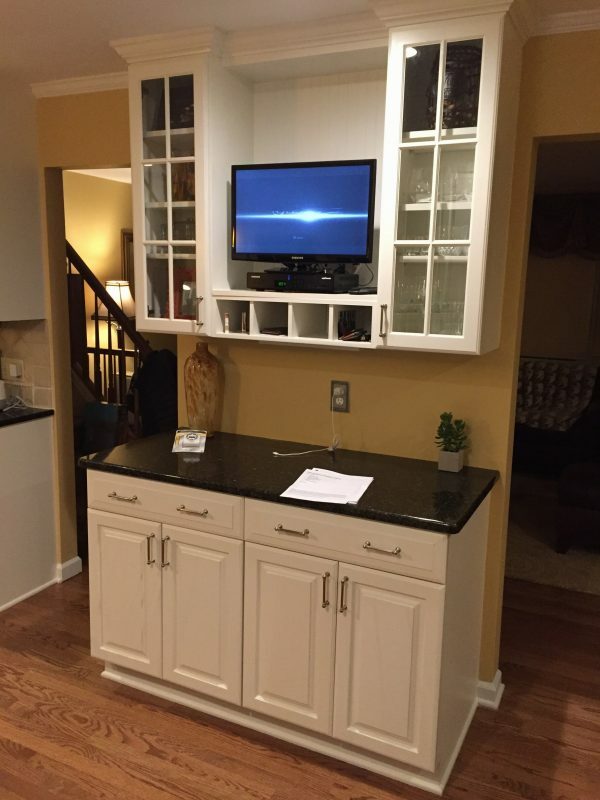 Additionally, on the opposite partial wall, we installed a hutch which included a TV console. The placement here allowed for television viewing anywhere in the expanded room. Additionally, an island was also installed. All of the new cabinetry really increased the storage area for the room so everything could be kept neatly in place. Prior to the new cabinetry being installed, Monk’s painters painted all the existing kitchen cabinetry. 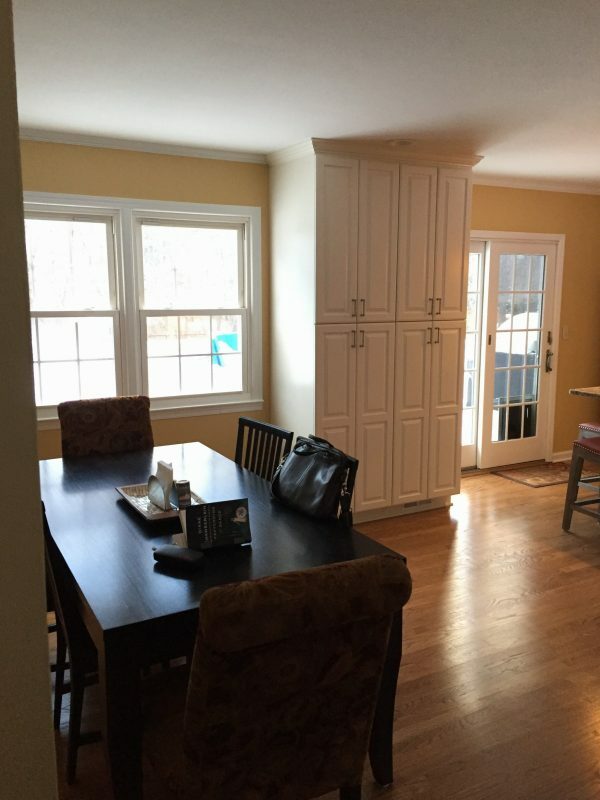 The original oak cabinetry was painted a brighter white color to match the new cabinetry that we installed. Lastly, to continue to coordinate the kitchen expansion, the countertops on the new island and hutch were selected to match the existing tops. If you are considering a kitchen expansion or kitchen remodel please give us a call. We can help from design through to install. Designers in our Morristown, NJ showroom will create a 3-D layout and help you select and coordinate all your materials. Also, our Project Managers handle any permits and inspections, and our crews handle the installation. For other kitchen projects, see our kitchen gallery. Call 973-635-7900 to schedule your free estimate and design appointment.